Ready-made Super 150 wool suits.  Welcome to European Master Tailor, where you can find all your tailoring and alterations needs in one place. Conveniently located in downtown's Morgan's Alley, Silvian Nita is a respected and highly recommended tailor in the Great Northwest. A small business owner since 1989, he has over 45 years of excellence and craftsmanship in the tailoring and alterations trade, with many satisfied customers. Our services include ready-made mens suits and shirts, ties, bow ties, and other accessories, as well as alterations for men and women. We are able to work with all types of garments, including wedding gowns, bridesmaid dresses, skirts, suits, tuxedos, slacks, jeans, sweaters, jackets, swimwear, and many more. 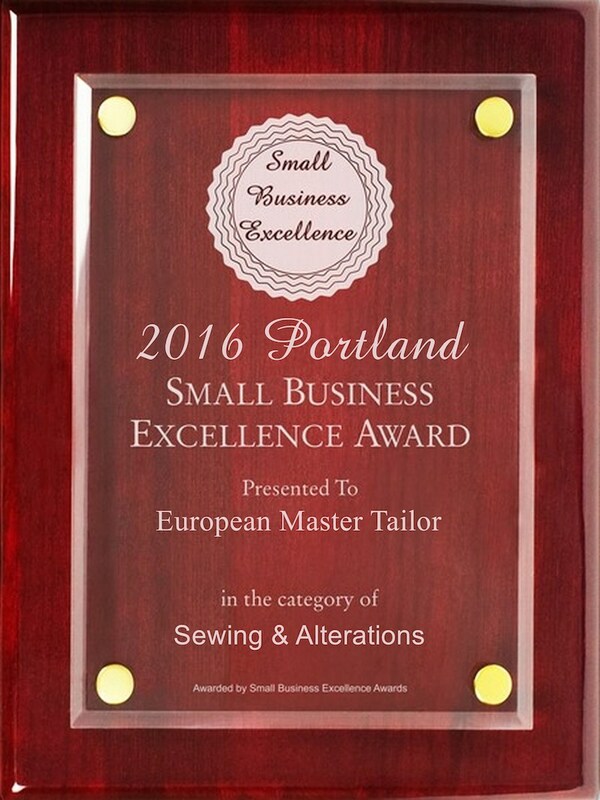 European Master Tailor has won the Best of Portland award in 2012, 2013, 2014, and 2016. We are capable of addressing the full range of alterations for all types of clothes for both men and women. Whether we can succeed on any particular job depends heavily on whether the peculiarities of the garment can accommodate the alteration. We can perform full reconstructions, taking apart a garment and rebuilding it to fit. Tip: We strongly advise that you bring in the undergarments and shoes that you plan to wear with formal clothing. This makes quite the difference in the way we alter to fit. To properly estimate a job, we have to examine the garment in person. We cannot offer an estimate on the phone. No appointment is required; you may walk in anytime during open hours. The following examples are shown to give a rough idea for the price intervals. Price will vary depending on the job. Note: We require full payment on all alterations at the time the garments are dropped off. 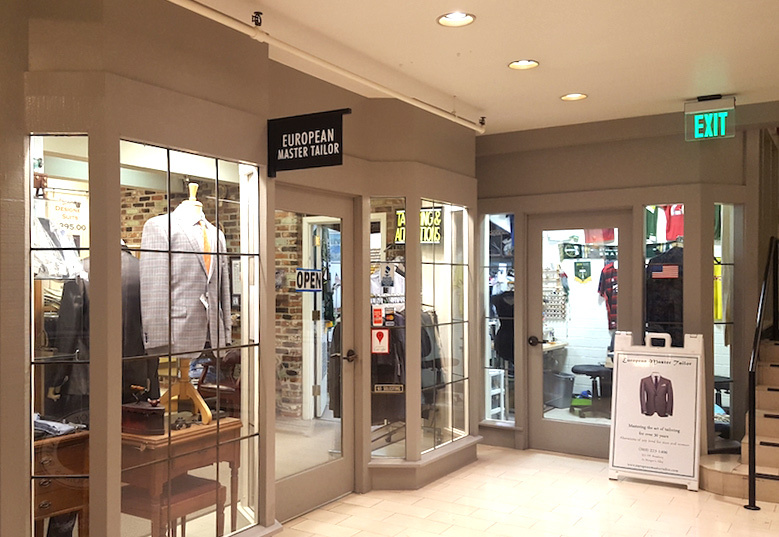 The shop includes a store front stocked with high-quality Italian garments, including suits, trousers, jackets, and ties. We will, of course, alter your purchase to fit. Silvian is a well-known tailor and essentially the only true master tailor in the Portland metro area. Big clothing stores such as Nordstrom and Sax Fifth Avenue routinely call on Silvian for tough alterations which their experts cannot handle. Read our customer reviews and write your own on Google or Yelp. "Sylvian is the best tailor in Portland. The guy has skills that few have; he elevates it to an art. Attention to detail. High-quality materials. Pride in craftsmanship. And a great guy, too." "I just purchased a suit from Silvian. I was a little hesitant but and I couldn't be happier. His work made it look like it was a handmade "custom suit" that cost $1500. Silvian is a great guy too -- friendly and easy going. Excellent craftsmanship." "Sylvian is THE MASTER tailor of Portland, Oregon. He is a perfectionist and I would not have my clothes altered by anyone else. He spends time and cares about each and every article of clothing that comes into his shop. Not only is he a Master Tailor...he is also a friend and caring individual. Whomever steps into his shop immediately feels like family." "I had ordered some suits from Joseph Banks and they did a very poor job. I took them to Sylvian to see what he could do. When I arrived to pick up my suits, I was astonished. Night and Day compared to when I first brought them in. A fantastic job!" "After spending twenty minutes talking to Sylvian, I knew before he even made a stitch, my suits were in good hands. Sylvian completes his work on time (rare for most tailors) and has a sartorial eye for how clothes should fit. Drop by his shop anytime and you'll see him salvaging garments that were previously slaughtered by other tailors. Go see him, you won't be disappointed." Walk-ins are welcome, no appointment is necessary. Silvian does not give estimates over the phone. His unanimous answer is "I have to see it." Please refer to Services & Pricing for a description of our services and some rough estimates. The shop's phone number is (503) 223-1400. Email Silvian's email address is emtailor@yahoo.com.